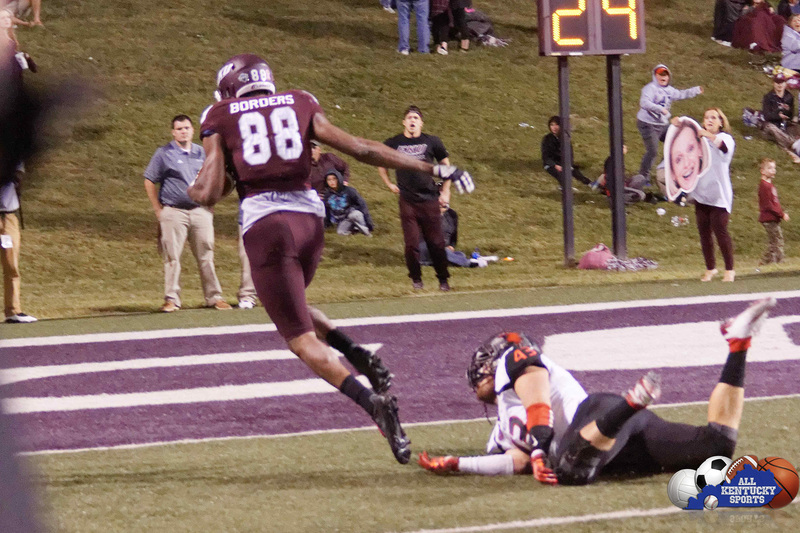 RICHMOND, Ky. – Eastern Kentucky University’s football team will host No. 2 Jacksonville State University for its Homecoming game on Saturday at Roy Kidd Stadium. Kickoff is scheduled for 3 p.m. The live radio broadcast is available in the Richmond area on WCYO 100.7 FM, and can be heard worldwide on EKUSports.com. A live free video broadcast is available on OVCDigitalNetwork.com. For a complete list of Homecoming activities, visit www.homecoming.eku.edu. The Colonel Walk is scheduled for 12:45 p.m. through the main parking lot. EKU’s Touchdown Terrace with beer sales will open inside the stadium at 2 p.m.
Eastern Kentucky has won nine straight Homecoming games and is 12-4 in those games since 2000. Eastern is receiving votes in the STATS Poll (No. 50) and receiving votes in the HERO Sports Top-25 Media Poll (No. 40). Jacksonville State is ranked No. 2 in the STATS Poll, Coaches Poll and HERO Sports Poll. The Colonels stand 2-4 overall and 1-2 against OVC teams. The Gamecocks enter the game 5-1 overall and 2-0 in conference play. Five of Eastern’s eight OVC opponents are ranked or receiving votes in the national polls, including previous opponents Tennessee State (No. 25) and Tennessee Tech (RV) and this week’s foe Jacksonville State (No. 2). The Colonels average 457.3 yards of offense per game, first in the OVC and 14th in the nation. Jacksonville State is second in the league at 456.8 yards per game. Eastern Kentucky has totaled 500 yards or more of offense in each of the last three games, posting 559 yards at Tennessee Tech, 527 versus Southeast Missouri and 584 at Tennessee State. With 350 passing yards at Tennessee State, Bennie Coney moved past Allan Holland (4,695 yards) from fifth to fourth on EKU’s all-time career passing yards list. Through two-plus seasons as a Colonel, Coney has thrown for 4,966 yards. He is 75 yards away from tying Jim Guice (5,041 yards) for third on the list. Coney has thrown for 300 or more yards in each of his last three games, registering 350 at TSU, 337 against Southeast Missouri, a school-record 464 at Tennessee Tech. Since allowing eight sacks at Ball State (Sept. 17), the EKU offensive line has only allowed one sack the last three games and none in the last two games. Please note the important information below regarding parking, tailgating, street closures, the Touchdown Terrace and student seating. • The Alumni Coliseum east side parking lot will close at 10 p.m. on Friday night before the game. Any cars remaining in the lot after that time are subject to tow. The lot will reopen for tailgating Saturday shortly after 10 a.m.
• From two hours before the start of and 30 minutes after the conclusion of home football games, Roy and Sue Kidd Way will be closed to vehicle traffic from Van Hoose Drive to the Eastern Bypass. • Alternate parking areas include: Van Hoose Drive lot next to the stadium, as well as the Greg Adams Tennis Complex Lot, Ashland Lot and Perkins Lot, all located across the Bypass from Roy Kidd Stadium. • Student seating is available in sections A and B. Students may also sit on the hill in the north end zone. • Students can also sit in the 2nd level in sections AA through CC, FF through HH and AAA through GGG. • Students will enter the stadium through Gate 1. They will need their school ID out and ready to be allowed admittance to the game. Students can purchase guest tickets for $13 at the Ticket Selling Booth at Gate 2. • Will open at 2 p.m.
• Located in the north end zone, will be open only to fans 21 years and older. • Beer will only be available for purchase inside the Touchdown Terrace. • Fans will be limited to one beer per transaction and will not be permitted to leave the enclosed area with their purchase. • All beer sales will end at the conclusion of the third quarter. • The ADA accessible seating area at Roy Kidd Stadium is located on top of the hill in the end zone opposite the scoreboard. • The ADA accessible restrooms are located inside the Begley Building, behind section A under the ramp from the student entrance. • ADA accessible parking is available in the Moberly Lot past the Stadium off Roy and Sue Kidd Way on the right from the Bypass.